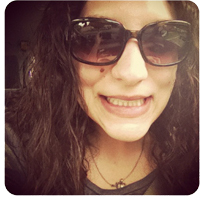 Previous Topic: In the past month…I’ve been nominated! 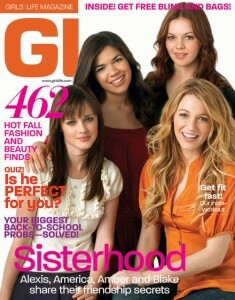 I remember seeing GL magazine in the library when I was younger, but neither of the other two. I used to be subscribed to American Girl Magazine, too, then Girls’ Life when I grew out of American Girl. I got Seventeen for a while after that, but I stopped sometime before high school. Of course, I was also subscribed to LEGO Magazine and the LEGO Catalog. Magazines were never really a big part of my life, though. I was far more into reading books than magazines. I used to be addicted to magazines. I spent all my money on them. I remember reading Seventeen, Cosmo Girl, and tons more. I had every inch of my bedroom covered with posters so you couldn’t even see the walls. JTT and Devon Sawa were a couple of my top crushes as well. Along with Freddie Prinze Jr., Hanson, and The Moffatts. 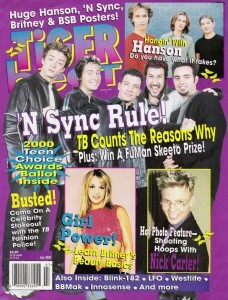 Tiger Beat! Oh my God! I was in love with JTT and Devon Sawa when I was younger. lol Oh and Jonathan Brandis! I read American Girl as well, but not GL. It is perfect time to make a few plans for the longer term and it is time to be happy. I have read this put up and if I may just I wish to suggest you few interesting issues or advice. Perhaps you could write subsequent articles regarding this article. I want to read even more issues about it! Great advice I recently encounter your blog and are reading along. I’m extremely inspired along with your writing talents and also with the structure to your weblog. Is that this a paid topic or did you modify it yourself? Either way stay up the excellent high quality writing, it is uncommon to look a great blog like this one today..